SNAP!!! Geocaching: GPS Accuracy - or - Why are these coordinates not correct??? 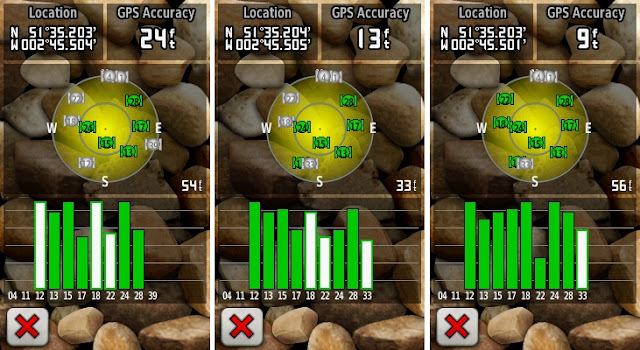 GPS Accuracy - or - Why are these coordinates not correct??? Here are some fun facts about the GPS Satellite Constellation (the GPS system we use). The Air Force manages the constellation to ensure the availability of at least 24 GPS satellites, 95% of the time. For the past several years, the Air Force has been flying 31 operational GPS satellites, plus 3-5 decommissioned satellites ("residuals") that can be reactivated if needed. The United States government currently claims 4 meter accuracy for civilian GPS. Mind you, that's the minimum. Some devices/locations reliably can get 3 meter accuracy. 4 meters is about 12 feet - so the best you can get is about a 24 foot diameter circle. Most geocachers have run into either a geocache whose coordinates are less than desirable. The worst coordinates for a geocache I ever attempted to find were more than 2 miles off. Oh, and we got FTF (via a hint from the CO). All sorts of things can throw off coordinates including clouds, weather, trees, buildings, and sometimes just the minerals in or on the ground at the ground zero. We have a LARGE geocache hidden in a giant stack of granite blocks. We get plenty of DNF logs! Good luck getting a decent lock there - plenty of bounce. Another factor in accuracy is time. 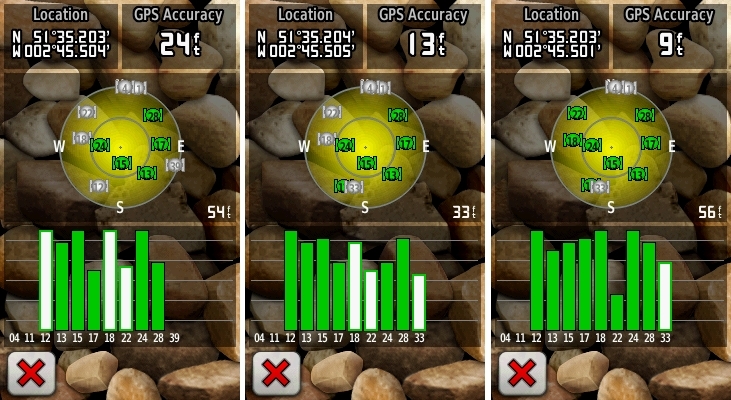 Here is an example of GPS accuracy from a handheld GPS (Garmin Oregon). The first image was taken 1 minute after the GPS was switched on , the middle image is after 2 minute and the last image is after 3 minutes. You can see on the GPS screen that more satellites are being received as time goes on (the green bars) and the Location coordinates are slowly changing as the accuracy begins to come down to the final 9 feet. The final Location coordinates are N51°35.203' W4°19.501' which can be considered quite accurate. So, knowing all this - how do we get more accurate coordinates for a cache. When placing a cache you need to record the coordinates from the GPS or phone and make sure they are as accurate as possible. This ensures people looking for your cache will have the best possible chance of being close to it. If you don't record the coordinates properly and people look for your cache on a day when accuracy isn't that good they could be many yards or meters (or sometimes miles) from the cache. The following steps will help you get the best coordinates you can. At the cache location, hold your GPS or phone so it has a clear view of the sky  or as clear of any obstructions such as trees or buildings as you can. You can place it down on the ground or on a convenient post or just hold it in your hand. It's recommended you need to leave it like this for at least 10 minutes. If you've just switched it on or it's been in your rucksack or a pocket you may need to leave it a bit longer. This ensures it has a chance to pick up the signal from as many satellites as possible. Record these coordinates either by writing them down or marking them as a waypoint. 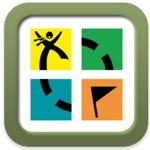 Note: The Geocaching® apps show your current location while navigating to any geocache using the compass feature. I would also recommend, if using this method, to revisit the same site several times (hours apart) to get multiple readings (see manual waypoint averaging below). Another way of making sure the coordinates are good is to take several different readings at the cache and then average them. To be really accurate you should do this over several days because on any particular day your GPS may not be able to pick up as many satellites as on other days which will affect accuracy. 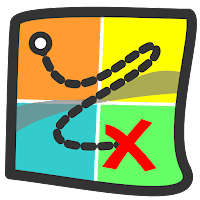 You can average waypoints manually or use the averaging feature of your GPS if it has one (not all of them do but the manual method works with any GPS or phone). Record the coordinates at the cache location using step 1 to 3 above. Then walk about 30 or 40 feet (10 to 13 meters) away from the cache, turn and then walk back to the cache waiting about a minute at the site before recording the coordinates. Do this a second, third, fourth and even fifth time from different directions. You will find you have a slightly different coordinates each time. You can now 'average' these coordinates to get the best possible ones. This is how it's done. I recommend waiting hours not minutes between readings as you will be syncing with different satellites. Take the last part of the N to give you five numbers like this, 634, 636, 637, 633 and 634. Add them together to give a total of 3174. Divide this by the number of readings (5) to give you 634.8 or rounded up, 635. 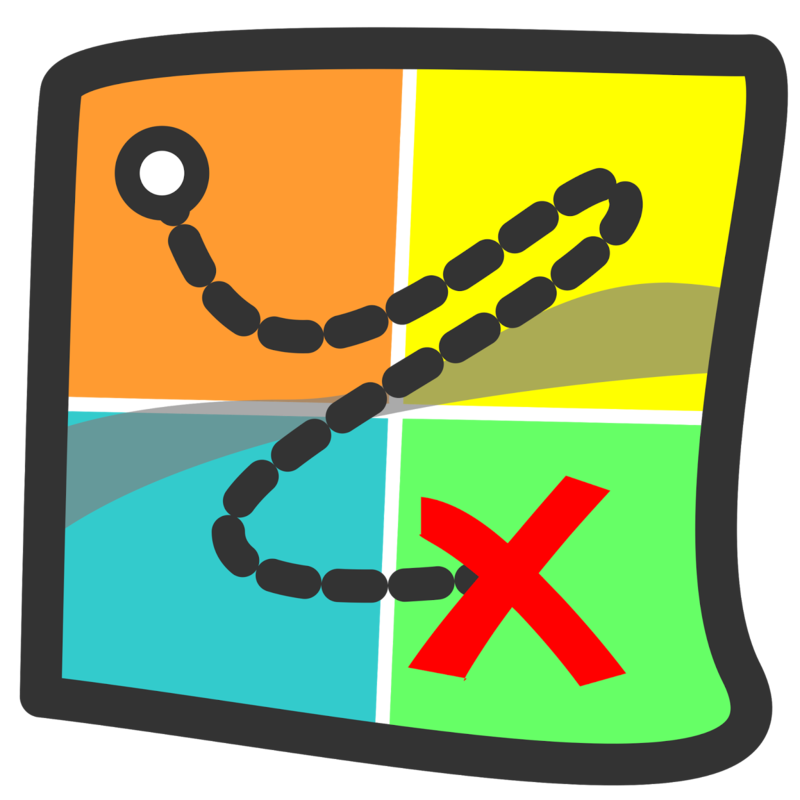 If your GPS has the feature to average waypoints then use that. It will be an option in the menu. From the averaging screen you create a new waypoint and press Start. The GPS will then start recording the coordinates for a period of time. When it's finished you can either use that value or continue the averaging by repeating the process. Please refer to your GPS manual for more details. 1. Keep your GPS calibrated. This will definitely help with coordinates. 2. Remember the +/- If I hide a cache and have +/- 10 feet on my coordinates (a 20' circle) but my GPS is off to the east - then you come along and let's assume you have +/- 10 feet but you are off to the west - this means we just enlarged that 20' circle to a 40' circle. Have patience - sometimes it is best to stop looking at your GPS and use what we call "geo-sense". Look around and ask yourself - Where would you hide it? Believe it or not - it works quite well. I compiled this information from numerous sites including Geocaching.com. Remember, even geocaching.com states your coordinates SHOULD be as accurate as possible. I tend to chuckle at a comment "Co-ordinates spot on," or something like that. What that means is that your co-ordinates and mine happen to agree that day, that time. I will record distances of more than 20 feet - but remember - if you have three GPSrs - there are at least four opinions. 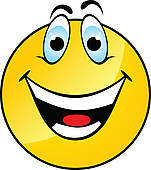 And I have to smile when 10 people say " spot on" and then somebody tells me the coordinates are off by 30 feet.